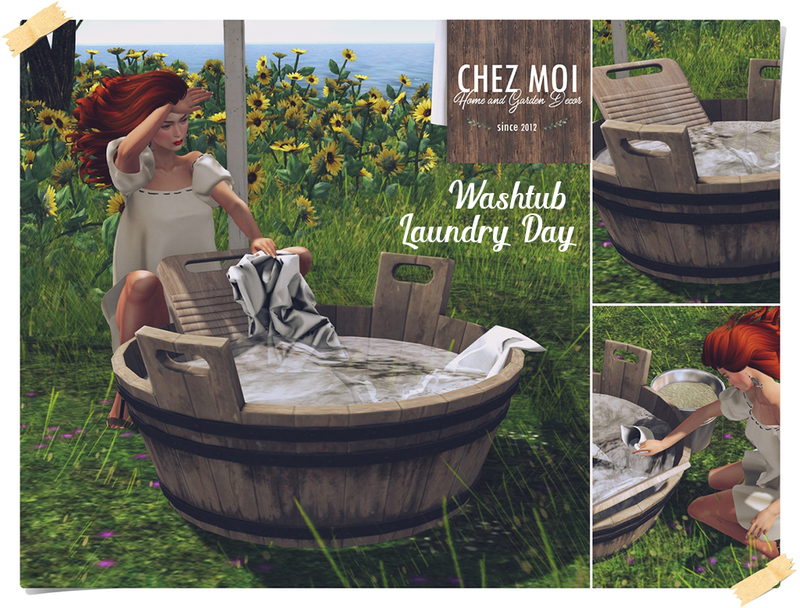 Do the laundry can be fun with CHEZ MOI. This set fully interactive with a rustic design is perfect for outdoor spaces. The washtub comes with 3 animations.